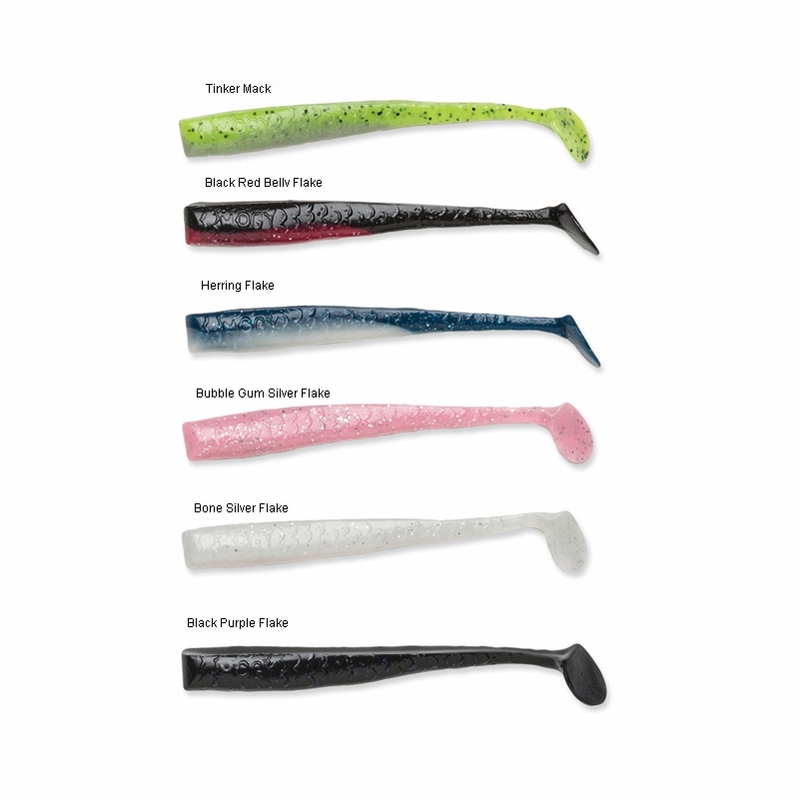 The Hogy Jiggin Paddle lure features an oversized paddle that is perfect for fishing shallower water where commotion and action can draw attention. This bait has flat nose design used with all Hogy jiggin baits that works perfectly with jig head. These baits are the the best when it comes to superb natural action. Used this lure for Ling Cod in Monterey Bay. Added a 2 oz. lead head with a 6/0 hook size to the front of the lure and a 5/0 curved stinger hook about 3 inches from the tail and got the right amount of medium decent towards the bottom, with lots of swimming action from the paddle tail simulating a swimming fish.Once the jig touched the bottom I just slightly jerked the lure up and down off the rocky bottom a few feet to simulate a feeding fish. It wasn't long before a ling cod could no longer resit the temptation and I got a hit and dinner for the evening. The Blue Herring color worked great too. 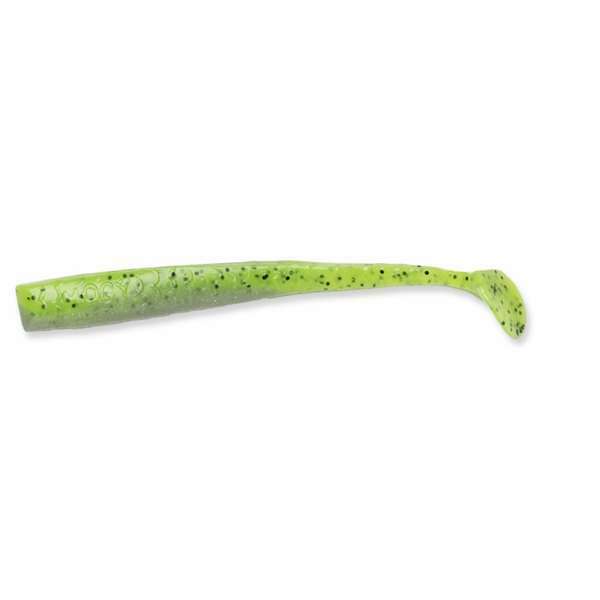 ProsGreat finesse lure for jigging for large fish, like Ling Cod, Vermilion, Olives, Strippers and larger Rock Cod. The body of the lure is wide enough to accommodate a 4 oz. to 5 oz. lead jig head without splitting the rubber lure face. ConsI wish the lure was available in a 10" or 12" size, with a wider range of color choices. awesome lure when targeting big snook or tarpon.